What is U Got This!? The U Got This! program is an online sexual assault and dating violence prevention education tool designed for first-year and incoming transfer students. U Got This! was developed by Catharsis Productions, a company that seeks to change the world by producing innovative, accessible, and research-supported programming that challenges oppressive attitudes and shifts behavior. Redefining how students engage with online training, Catharsis partnered with Jellyvision, the online software development company best known for creating the You Don’t Know Jack games, and infused their signature tone and humor with their technology. All incoming undergraduate and transfer students are required to complete the U Got This! program before registering for their second semester on campus. Why do new students take U Got This!? One in five women will be sexually assaulted in college, and first-year students and sophomores experience higher rates of victimization than juniors and seniors. Nearly 10 percent of UW-Madison students reported experiencing physical, emotional, and/or sexual abuse by a dating partner in the past 12 months. Men, too, can be victims and play a role in preventing sexual assault and dating violence on our campus. 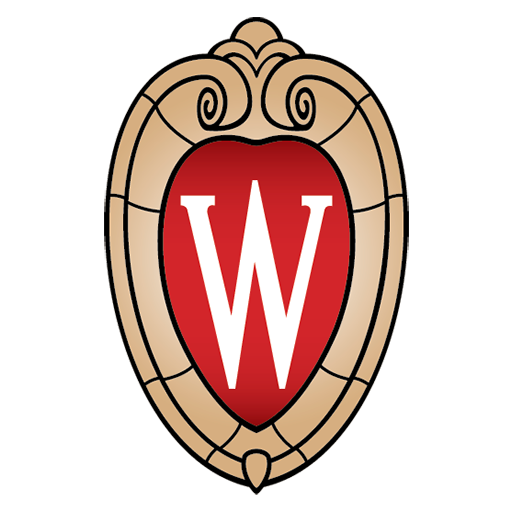 Sexual assault and dating violence are violations of the University of Wisconsin System student code of conduct and against the law. UW-Madison takes these crimes very seriously and expects all students to do the same. Knowing what red flags to look for, how to get consent, what resources are available to help victims, how to intervene, and how to help a friend are crucial for making UW-Madison a safe place for all students. Why do I have to take U Got This! and my friend at another school does not? UW-Madison expects all students to follow the student code of conduct, respect one another, and help make campus a safe place for everyone by being active and engaged bystanders. Sexual assault and dating violence are not only against the student code of conduct, but are against the law. U Got This! is the foundation for sexual assault and dating violence prevention on our campus. In addition, federal and state law require colleges and universities to provide primary prevention and information about sexual assault, dating violence and domestic violence to all incoming students. U Got This! equips new students with life skills to be global citizens, empowers students by providing many options for healthy behavior, and outlines clear expectations for what UW-Madison expects of its students. Can I take U Got This! with friends? U Got This! is designed for individual participation and completion. If a student does not complete U Got This! in their Learn@UW account, it will not be tracked and they will not be able to register for future classes at UW. I'm a first-year or transfer student, how do I access U Got This!? Log on to your Learn@UW account via wisc.edu with your NetID. Select “U Got This! | Spring 2019” and follow the instructions on screen. You will need to complete the pre-survey, watch the entire U Got This! program, and complete the post-survey. How long does U Got This! take? The deadline for new first-year and transfer Spring 2019 students to complete U Got This! is Friday, February 15, 2019. All first-year and transfer students must complete U Got This! before they will be allowed to register for future classes at UW. A registration hold will appear in the student center on or after the program deadline if a student has not yet completed the program and will not be removed until it has been completed. What technology is required to complete the program? You will need a computer with an Internet connection and audio for this program. You can access U Got This! with any laptop or desktop. U Got This! is not optimized for smartphones or tablets, such as Kindles or iPads, so do not plan to complete U Got This! on a smartphone or tablet. Due to technical issues, avoid using Internet Explorer and Chrome browsers (Firefox is the preferred browser) and please disable all ad-blocker software while completing U Got This! Is U Got This! available with closed captioning? Can I stop and save before I complete the U Got This! program? You will not be able to stop and save your progress during Modules 1-3, but Module 4 does save your progress if you exit the program at any time. It is recommended to complete U Got This! in one sitting to avoid technical difficulties. What if the content is emotionally triggering? We understand that the discussion of sexual assault and dating violence can be difficult for survivors of these crimes. This online course allows students to participate in this program in the privacy of their own homes or residence halls at their own pace. The ESCAPE link at the top right corner of the screen can direct you to resources and support services. If you feel that the program is too emotionally challenging for you, email violenceprevention@uhs.wisc.edu to ask about alternative options. What if U Got This! does not appear in my Learn@UW account? U Got This! is displaying a loading screen, but will not load. How do I fix this? This error is usually triggered by ad-blocking software. If you are getting a loading message that won't allow you to progress through the program, please completely disable your ad-blocking software and try viewing the module again (you may need to delete your browser cache and cookies for this to take effect). If you continue to experience this issue, please contact violenceprevention@uhs.wisc.edu. What if I am unable to click the 'certify completion' or 'next' button at the end of a module or activity? The "certify completion" or "next" button may not be clickable if you fast forward through videos, click too quickly through activities, minimize the browser, or complete other tasks in a different window, tab, or program while the program is playing. If you are unable to advance through to the next module by clicking either the "certify completion" or "next" button, do refresh the page or attempt to re-take the module, as your progress will not be recorded. Instead, please wait on the page until the "certify completion" or "next" button becomes active. This usually takes no more than one minute of time, but has been known to take up to 3-5 minutes in extreme cases. If the problem persists, please contact violenceprevention@uhs.wisc.edu and a staff member will unlock the next component for you. What if the videos don't load? It is not uncommon for videos to take several moments to load at times in the day when Learn@UW is experiencing high user volume. A strong Internet connection and compatible browser on a desktop computer or a laptop—not on a mobile device or tablet—are recommended. Update software if needed. Google Chrome and Internet Explorer are not compatible for participating in U Got This!. Please use the Mozilla Firefox browser to ensure a tech issue-free experience. What if I can't access the post-survey after I complete U Got This!? Make sure you have certified your completion of Module 4 and have completed the Module 4 completion quiz (if you haven't or are unsure, re-open Module 4 and select "resume where I left off;" if you're on a slide with a resource video, you have not completed the module). If you have watched all of Module 4 and completed the Module 4 completion quiz, but the post-survey still isn't showing up, refresh the browser and select “Modules" on the left-hand side of the screen, then “Post-Survey.” A very small number of students experience issues with the program resetting to the beginning. If this happens, please email violenceprevention@uhs.wisc.edu. No, students will not be graded for any individual answers selected throughout the program. U Got This! completion scores do affect whether a student can register for their second semester; however, these scores will not be reflected on GPA or transcripts. Will my pre/post-survey responses appear on my transcript? No, individual responses to the pre- and post-survey will not appear on transcripts or on student records. Responses may be viewed by UHS violence prevention staff, but will not be shared nor published except in composite (i.e., 68 percent of U Got This! participants could identify at least one office on campus dedicated to helping victims of sexual assault). How will UW-Madison know that I completed U Got This!? UW-Madison tracks who completes U Got This! through the Canvas gradebook. Students who do not complete the program will have a hold on their record will not be able to register for their second semester. How can I verify that I completed this requirement? As soon as the post-survey is complete, you will be able to see confirmation that you have completed the U Got This! program. If you are unsure whether you have completed the program, check your gradebook to see if you have grades for all modules. If you are still unsure, contact violenceprevention@uhs.wisc.edu. How can I view U Got This! if I'm not a first-year student? U Got This! is not available for general viewing purposes. UW-Madison students required to complete U Got This! must log into their Learn@UW accounts to access the course. What resources are available to instructors on campus? A discussion guide is available upon request from violenceprevention@uhs.wisc.edu. We strongly encourage anyone planning to discuss these topics to work with a violence prevention or survivor services professional. UHS rolls out U Got This!